Kills dandelion and plantain with no re-growth! 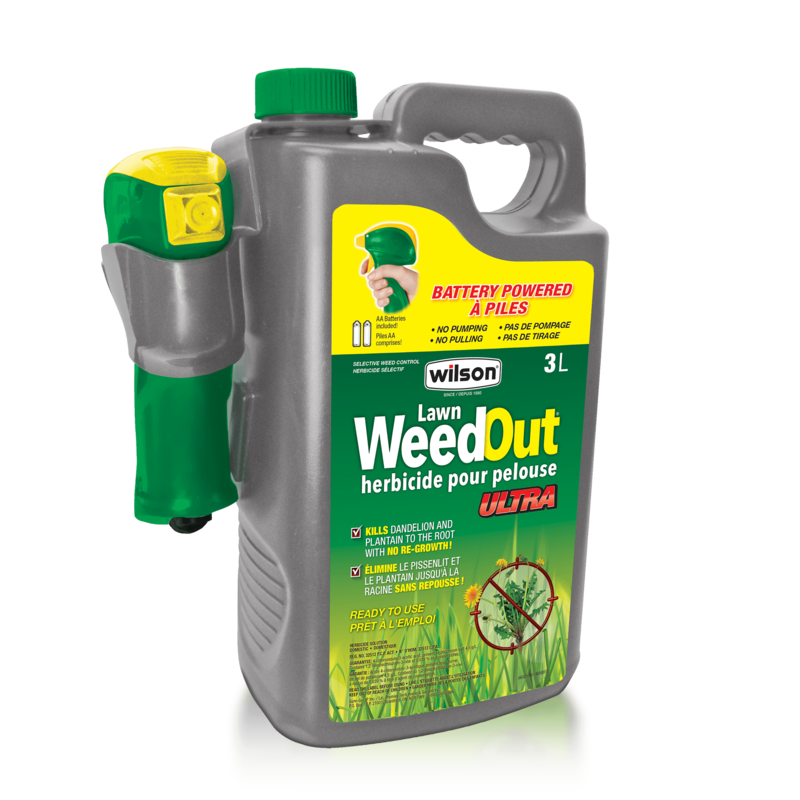 Use this product anytime weeds are actively growing. Wet the foliage using short bursts of spray. Avoid over-applying to the point of runoff. Do not apply to drought stressed grass or newly seeded lawns. Directly applied to small patches and individual broadleaf weeds as a spot treatment. Dandelion, plantain, fall hawkbit, hawkweed, cinquefoil, and black medic. Do not apply in very hot (over 30ºC) or rainy weather, or if rainfall is forecast within the next 2-4 hours. Do not water for 2 hours after application. For more resistant weeds, re-apply after 4 to 6 weeks. This product will not prevent new weeds - apply only when weeds are present. Grass that is accidentally treated may temporarily turn brown but will recover. Remove batteries and dispose of accordingly. Do not reuse the empty containers. Dispose in household garbage. Unused or partially used products should be disposed at provincially or municipally designated hazardous waste disposal sites. To prevent contamination store this product away from food or feed. Keep from freezing. Between 5 ° C and 35° C.
Avoid activities that could result in skin contact with treated lawns or turf surfaces until residues have dried. Toxic to terrestrial and aquatic plants. Do not apply to desirable plants. Do not apply when winds are gusty. Read label carefully before using the product.